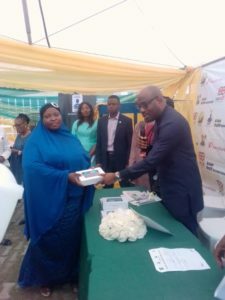 In line with the Lagos State Government’s vision to reduce illiteracy level to the minimum across the State, the Office of the Special Adviser to the Governor on Education has partnered a Non-Governmental Organisation to increase the literacy level, especially among young marginalised girls aged 14 – 15 years. 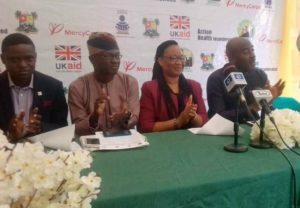 The partnership with Mercy Corps/Action Health Incorporated through Educating Nigerian Girls in New Enterprise (ENGINE) initiative will train over 5,000 Out-of-School girls in basic literacy and numeracy and life skills. Speaking at the flag-off and inauguration of the ENGINE II Learning Centres in Bariga recently, the Special Adviser to the Governor on Education, Mr. Obafela Bank-Olemoh disclosed that the State Government aims to raise the literacy rate in Lagos from 87% to 97% by giving every Lagos resident the opportunity to learn how to read and write through different learning programmes and meaningful partnerships. He described the idea of training 5,000 teenagers in basic literacy skills as pivotal in the lives of the beneficiaries, saying that the training would open up great opportunities for them to participate in their societies as value-adding individuals. The Special Adviser said that the teenagers, who were drawn from five Local Government Areas of Alimosho, Epe, Kosofe, Ojo and Somolu, would be tutored in literacy, numeracy and life skills for 18 months, adding that the importance of literacy for all cannot be over-emphasised. While noting that the social and economic prosperity of any society rests on its people, and that the people can only be productive as long as they have access to knowledge and information, Bank-Olemoh declared that it was instructive for the State government to, as a matter of necessity, give due attention to improving literacy and numeracy rates, as well as the acquisition of life skills, particularly among marginalised youths. In his words “We are aware that when young people lack basic numerical and reading skills, they are robbed of the opportunity to sustain a decent living and contribute productively to society. As a responsive government, we cannot afford to leave anyone behind on the march to prosperity”. He revealed that the State Government has provided one hundred and thirteen (113) Learning Centres through Lagos State Universal Basic Education Board while the Agency for Mass Education has trained two hundred and forty-two (242) new Facilitators in conjunction with Mercy Corps/Action Health Incorporated to deliver training to the girls. The Special Adviser, however, applauded the contribution of Mercy Corps and Action Health Incorporated for their outreach to over five thousand (5,000) Out-of-School Girls, some of whom were beneficiaries of ENGINE I which had been held earlier in the State. While enjoining beneficiaries of the program to make the most of the opportunity to better their lives and the society in general, the Special Adviser called on all stakeholders to give utmost support to the initiative so that thousands of girls enrolled in Centers across the State will be adequately empowered through the 18-month learning period. Speaking also at the event, the Director, Agency for Mass Education, Mrs. Oluwakemi Kalesanwo, pointed out that there will be opportunities for the academically inclined ones among the participants to continue their education after the training as well as enrol for the coding programme initiated by the Office of the Special Adviser to the Governor on Education. 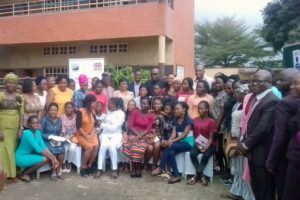 Kalesanwo said those who are not favourably disposed to continuing their education would benefit from the various empowerment and vocational centres owned by the Government across the State. She noted that the partnership with Mercy Corps/Action Health Incorporated was not only in line with the Governor’s directive that the level of literacy level in the State be increased from its present position, but also showed response to the clarion call always made by the government for NGO and private sector partnership to advance the educational standard of the State. The Educating Nigerian Girls in New Enterprises (ENGINE) programme is an initiative funded by DFID under its Girls’ Education Challenge Window (GEC). 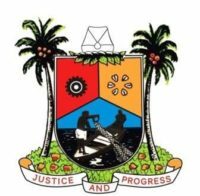 The first phase of the project started in 2013 and ended in 2017, was carried out in four States across the country, including Lagos, and enrolled 24, 489 girls.